I can't go out until my lashes are curl. I am on of a makeup lover who just need to make sure my lashes are up. Haha. I love mascara and I find that I have tried quite a few. Most of them are from local pharmacies and some of the are from the high end brand. 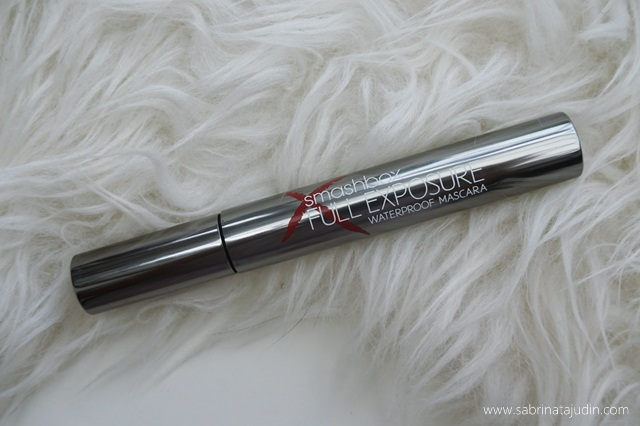 For the past few weeks I have been experimenting with this Smashbox Mascara. What I like about it. It's very black, volumizing and lengthening. The large brush makes application on my upper lashes a breeze. After curling my lashes I quickly apply this mascara. It give me jet black thick lashes instantly. What I don't like about it. 1-2 coast of this are enough or you end up clumping your lashes. Which I am a person who love to put at least 3-4 coats of mascara. Habits! When I am doing the "zig-zag motion for that volume and separate lash effect my lashes keep stuck together. The mascara dry very fast. The brush is huge so application for my bottom lashes is a bit hassle. If always use the tip of a mascara to apply mascara on my bottom lashes. This does not really work well there. Because the most product is on that part and makes my bottom lashes is pack with clumps. Other thing is that I really wish this mascara holds up my curls longer. Overall & Recommendations. 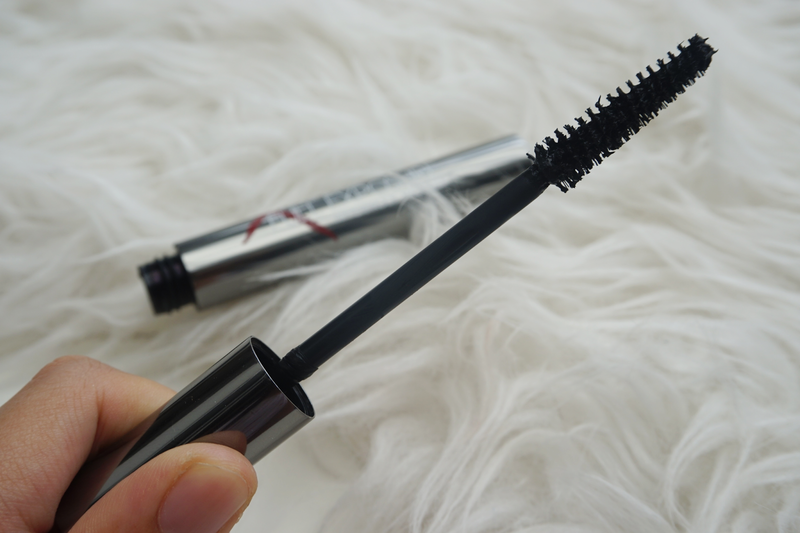 I found that it works great with people who have short lashes for the lengthening part. If you are looking for a mascara that holds up curls & natural effect mascara, this is not for you. 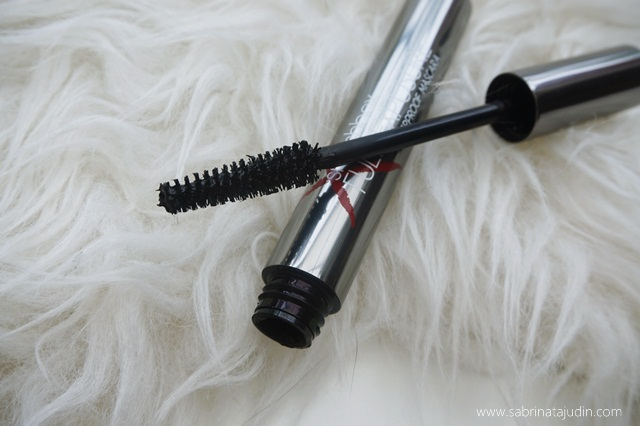 If you are looking for a mascara that volumize, have a thick lash, this is for you. If you have long naturally curled lashes. This is also going to be a great mascara for you if you want that "deep black highlight" mascara effect on your lashes. My lashes are long but it is not curled. I might call my lashes, "heavy lashes". If you know what I mean. It's keep dropping downwards. You also need a good makeup remover to remove this. So in the removing part I have no problem with this mascara because I am using my favourite biore makeup remover wipes to removes this mascara. I have a pair of heavy hashes too.. hehe.. It always coming down.. hurm..
need to apply that 'pengepit lashes' to make it curve more.. I am in no way trying to promote this person's YouTube channel but perhaps (if you have yet to see this) you may wanna take a look at this video that may help you. Camtik mascara ni ;) Nampak hitam sangat kan.
yep, bulu mata nmpak lebat! i love essence stuff! since i move to jb. susah cari brand tu.. huhu. i love the foundation. ada review in my previous previous post. in shaa Allah will review more drugstore products! Anis tak suka part nak buang waterproof mascara sbb make up remover yg anis guna tak berjaya buang sepenuhnya..
..between this and Benefit's? How the two differ?